I would like to take out a subscription. Where can I find out more information? Are my credit card details secure if I subscribe online? What’s the benefit of paying by Direct Debit? My company needs an invoice to pay for the subscription. How can I get one? Can I pay in a currency other than £ Sterling? Will you acknowledge receipt of my order? What do I do if an issue doesn’t arrive or arrives damaged? How do I access subscriber only content? I am having problems accessing subscriber-only content on the website. I’ve forgotten my password. How do I find it? Can I change the email address and the password I use to access the website? I am a registered user, how do I gain access to subscriber-only content? Why do I need cookies enabled? I signed up to receive your free e-newsletters, but I am not receiving them? How do I ‘unsubscribe’ from your e-newsletters? My company has multiple subscriptions, but only one person can log into the website. How can I set up access for all individual subscribers? Subscription information can be found on our website and you can subscribe directly through the website by credit or debit card, or by Direct Debit. If you need any assistance or any more information, please contact our Subscriptions Hotline. Yes. All the information you provide is encrypted using the industry standard SSL (Secure Socket Layer) technology. Direct debit is a continuous payment method available in the UK which means that you do not need to remember to renew your subscription each year. You will be in complete control of your subscription and can often spread the cost over the year. We can arrange to send you an invoice. Please contact our Subscriptions Hotline. Yes. Please check our website for details and to subscribe; contact our Subscriptions Hotline if you have any questions. We accept cheque payments in most currencies. If you are paying by credit card, your payment will be processed in UK £ Sterling at a recent rate of exchange which may therefore be different to the £ Sterling published price. If you place your order online, an email will be sent to you after you place your order. This will confirm the details of the address to which the issues will be sent, together with details of when your subscription will start and end. If you place your order over the phone or post, we will write to you within a few days of receipt of your order, advising you of your 10 digit subscriber number, when your subscription will start and end, and the address to which the issues will be sent. Yes, and we offer heavily discounted prices for group and corporate subscriptions with many exclusive benefits not available to individual subscribers. Simply contact us on +44 (0)203 953 2209 or email corporate.enquiries@emap.com with your requirements. You will need to have your 10-digit subscriber number to access your account, as this is used to identify both you and your subscription. It is a 10 digit number which can be found on any email or written correspondence that we have sent you, or on the wrapper or label on your subscription copy. If you cannot find it, please contact our Subscriptions Hotline. Please contact our Subscriptions Hotline. You can notify us of your change your address by contacting our Customer Services team. Simply contact our Subscriptions Hotline and we will check your address details and arrange for a replacement copy to be sent to you. Please claim within three months of publication date if you are in the UK, and six months if you are based overseas. We hope you are delighted with your subscription. However, if you are dissatisfied in any way within the first 30 days of your subscription, please contact our Subscriptions Hotline and we will refund the cost of any un-mailed issues. As a subscriber you have access to subscriber-only content on the website. You will need to sign in using your email address and password. Just go to www.mrw.co.uk/sign-in and follow the instructions. If you need any help please contact our Subscriptions Hotline. Firstly, check that you are the named subscriber of the magazine. If you are not and wish for the login details to be changed to your email address, please arrange for the named subscriber to contact us directly with their subscription number. Please contact our Customer Services team. Refresh your account by logging in and out again. This should ensure that your subscription details are up to date. Check if your subscription has lapsed. Check that the email address that you have registered on the website is the same as the one you used for your paid-for subscription. Check that your surname is entered exactly as it appears on the wrapper/label on your magazine subscription copy. If you are still having problems, please contact our Customer Services team. When signing in, you will find a ‘forgotten password’ link under the password box. Click on this and then fill in the email address you used when registering on the site. We will then email your password to you within a few minutes. If you are still having problems, please contact our Customer Services team. Yes. Please log in with your current details, and change your email address within Account Settings. Please contact our Customer Services team if you have any problems. Our subscribers benefit from full access to the website, plus delivery of a printed magazine. Click here to subscribe. Please check you have provided us with your correct email address. To check which email address you are registered with, sign in to your account and go to the Account Settings page. If your details here are correct, we suggest you check your mailbox settings to see if the newsletters are being pushed into ‘junk’ mail or if your mailbox is full. 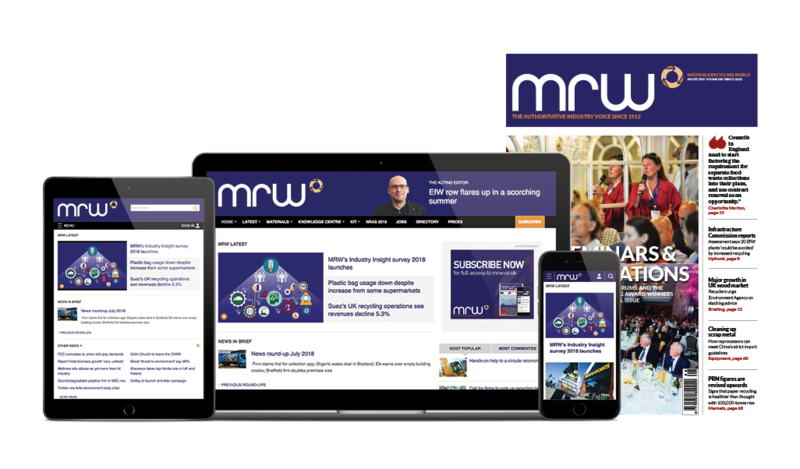 To avoid the newsletters being treated as spam, it may help to add the e-mail address mrwdaily@mail.mrw.co.uk to your address book. If you are still experiencing problems, please contact your email service provider. Firstly, sign in to the website, click on ‘My Account’ and then go to ‘Account Settings’. If this does not enable to you to ‘unsubscribe’, please contact our Customer Services team. If you have a multiple copy subscription, you will be entitled to have the same number of website users as you have magazine subscriptions. However we may need to manually set up access for all users for you. If so, please contact our Customer Services team. In the Tools menu, click 'Options'. On the Preferences tab, click 'Junk E-mail'. On the Safe Senders tab, click 'Add'. In the 'Add address', put in our email address. Click 'Add to 'My Contacts''. Copy and paste our from address into the primary email address dialog box. Wait for the 'Address Book' window to pop up, then click the 'Add' button. Wait for the 'Address Card for New Contact' window to load. Paste our From address into the "Other E-Mail" field. Subscriptions Hotline: For the Subscriptions Hotline, please call +44 (0)1604 828705. Lines are open Monday to Friday (8.00am – 9.30pm) and Saturday (8.00am to 4pm) GMT. Customer Services Team: If our FAQs do not help solve your problem, please contact the Customer Services team via customerservices@mrw.co.uk or +44 (0)20 3953 2000 (Monday to Friday 9.00am – 5.30pm GMT).